Meet us in Union Square Park, in the heart of Manhattan. We will begin gathering before 10am on the north plaza of the park, on 17th Street. At about 10:15, we will raise our voices in interfaith solidarity, offering prayers, blessings, and songs. At about 10:45am, those interested will march west along 16th Street and join the Church of St. Francis Xavier community for a special Catholic mass at 11:30am. Those who want to continue celebrating feminism and faith on the North Plaza-- people of all faiths! -- are welcome to continue rallying in Union Square Park until early afternoon. Do you have a sign from the 2017 Women’s March? Bring it! Have a drum? Bang it! A favorite chant? Share it! Want to make a new sign for this year? RSVP for our sign-making evenings Wednesday, January 17th and Saturday, January 20th at Xavier, TheWomenWhoStayed@gmail.com. If you are interested in volunteering before or during our march or Mass on January 21, 2018, please contact us at TheWomenWhoStayed@gmail.com. 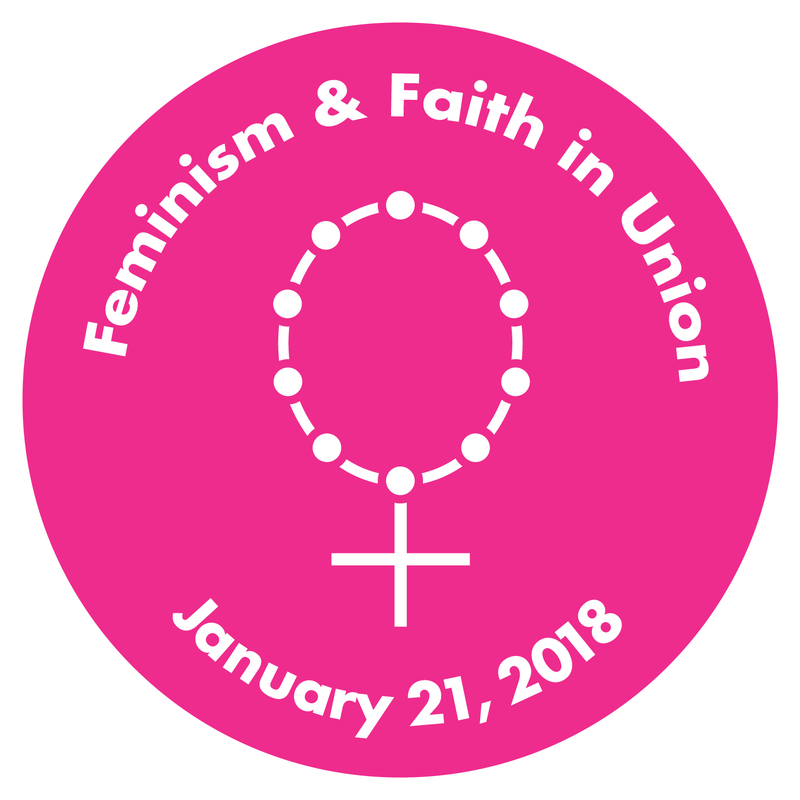 · Order your Feminism & Faith in Union buttons here! · Use our hand-held fill-in templates at feminism-faith.org and create your own signs! Take a selfie, and share! We in New York City are organizing a Feminism & Faith rally on Sunday, January 21st for the Women's March anniversary weekend.